Synopsis: An adaptation of the Charles Portis novel, 14-year-old girl Mattie Ross joins an ageing U.S. marshal (Jeff Bridges) and another lawman (Matt Damon) in tracking her father’s killer into hostile Indian territory. 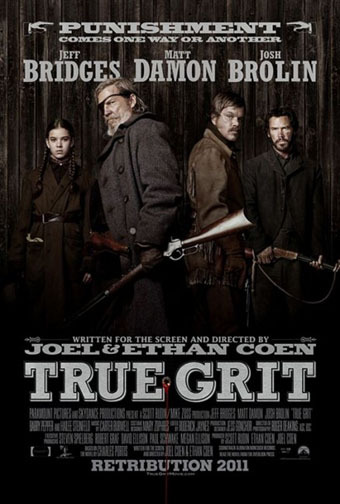 Sticking more closely to the source material than the 1969 feature adaptation starring Western icon John Wayne, the Coens’ “True Grit” tells the story from the young girl’s perspective, and re-teams the celebrated filmmaking duo with their “No Country for Old Men” screenwriting partner Scott Rudin. Josh Brolin co-stars.